Roatan Cruise shippers are sure to enjoy the safe, secure and simple pleasures of Roatan Island, a part of the Bay Islands in the Bay of Honduras about 35 miles off the coast of Honduras, offering travelers unspoiled white sand beaches with crystal clear waters of the Caribbean with exceptional Roatan marine life. Roatan has two Docks for cruise shippers, Town Center at Port of Roatan in Coxen Hole and Mahogany Bay farther up the South West Coast. Both ports are your entryway to a place where lobster and shrimp are a common lunch fare, traffic lights don't exist, you can hail a taxi from the water, life is slow, the culture is rich, Eco Adventures are numerous where you can explore the sheer raw beauty of untamed beaches, vista views and experience the second larges barrier reef in the world. Town Center in Coxen Hole, truly serves the people of Roatan and cruise shippers, so be sure to contact a personal tour company and exit the gates for an experience of a lifetime. They will show you the flea market shops just outside the gates and then whisk you off to a day filled with world class Roatan diving, dolphin encounters, botanical gardens at Carambola Gardens, South Shore Zipline & Eco Park (suspension bridges and challenge course), To name just a few Roatan Adventures. The warm Western Caribbean offers unique water activities such as snorkeling clear kayaking see the reef as never seen before, paddle boarding, parasailing, sunning, walking, exploring and for land lovers, the Glass Bottom Boat! Divers can expect visibility from 80 120 feet, large sponges, amazing labyrinths' of coral formations, wall dives and drift dives that are sure to please. Be sure to say hello to the turtles! 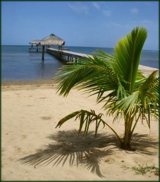 Most Roatan Tourist Attractions offer packages that can be bought ahead of time before you reach your port. Your tour guides will meet you outside the gates of either port so look for their signs. They will take care of you and stay with you all day and return you to the ship an hour before departure time. Roatan Island is often the highlight of the whole cruise say cruise shippers! The Island looks forward to seeing you again this time stay for a week or two and become an Islander just like the rest of us!